69th Republic Day was celebrated. Sri. 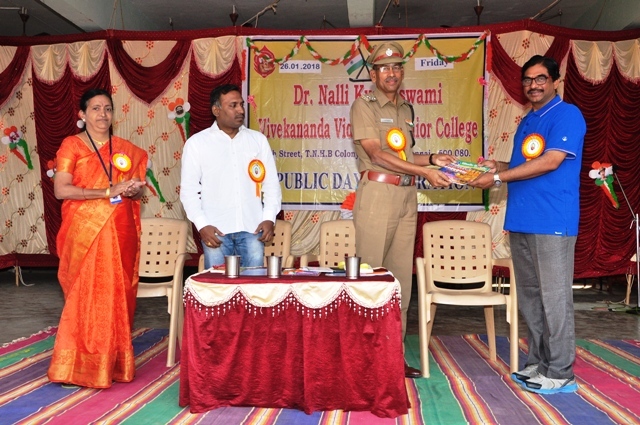 P. Radhakrishnan, Assistant Commissioner of Police and Sri. 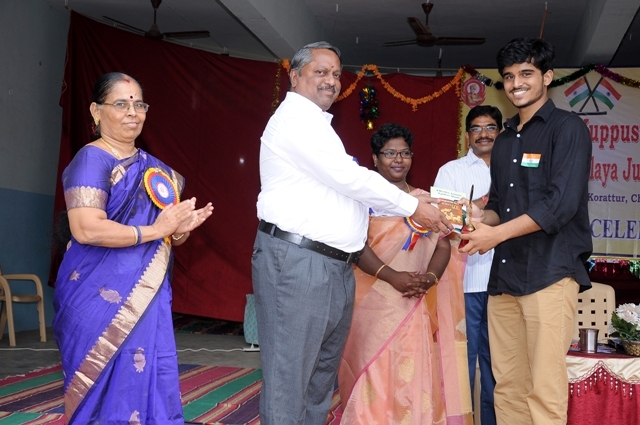 P. Kumaraswamy Alumnus were the chief guests. 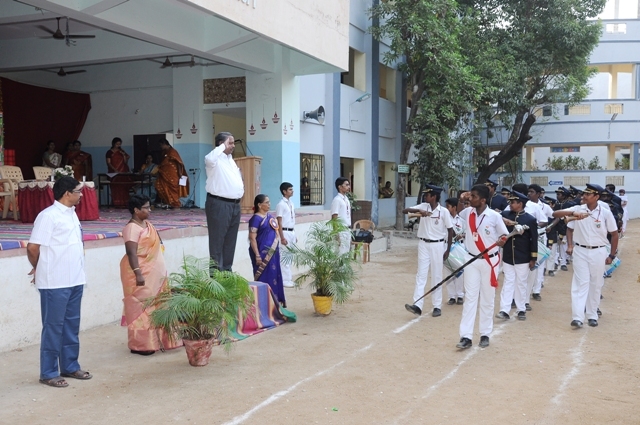 Cultural programme was performed by the students. 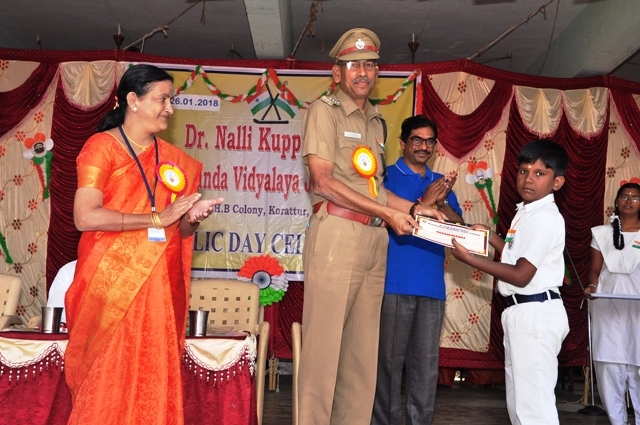 Prizes for Thirukkural competition winners were distributed. 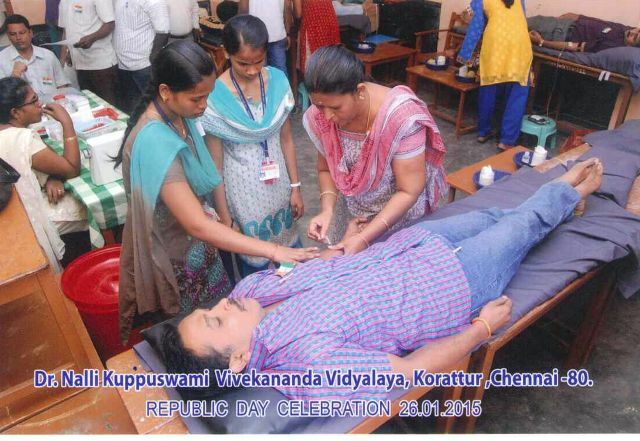 This was followed by Blood donation organized by Madras Voluntary Blood Bureau. Alumni meeting was also conducted. 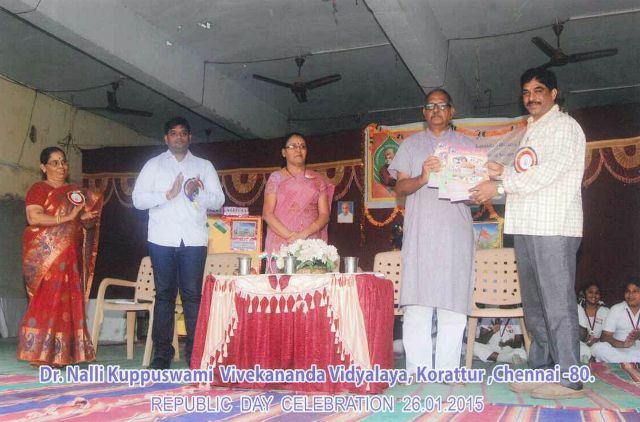 Republic Day and Param Veer Chakra Vandana was celebrated. Sri. L. Natarajan, RSS, Sri. K. Parthasarathy, Retd. 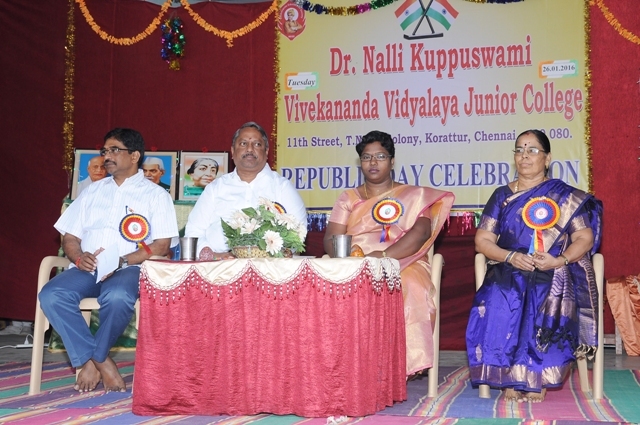 Wing Commander and Alumna Dr. M. K. Janani graced the occasion. Blood donation camp was also organized. Along with this Career Guidance exhibition was conducted. Parents and students visited the exhibition. Nearly 60 students of Corporation school visited this exhibition. 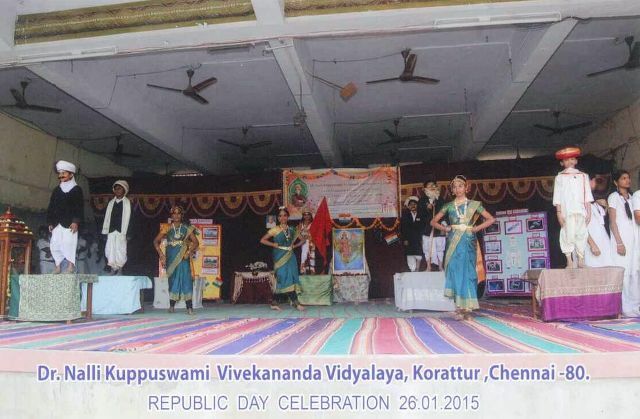 67th Republic Day was Celebrated. Sri. R. Ravindran, Joint Secretary, VES and Smt. 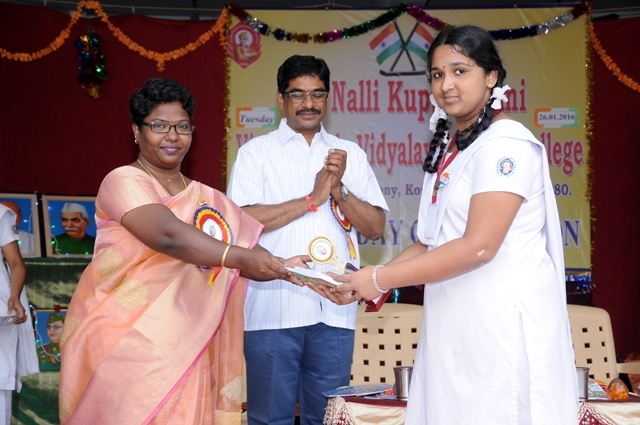 Parimala Kannan, Alumna, Senior Academic Co-ordinator, Velammal Gen Park Group of school were the chief guests. Sri. 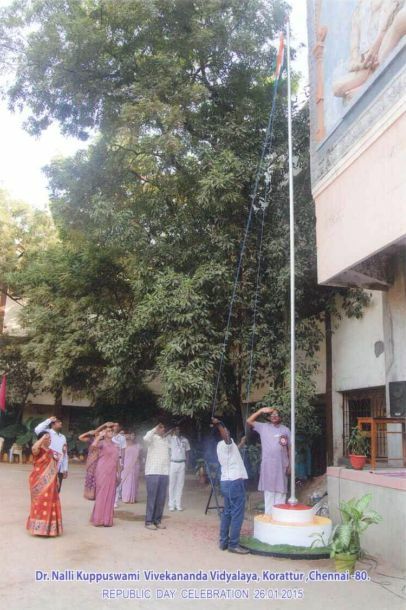 R. Ravindran unfurled the national flag. 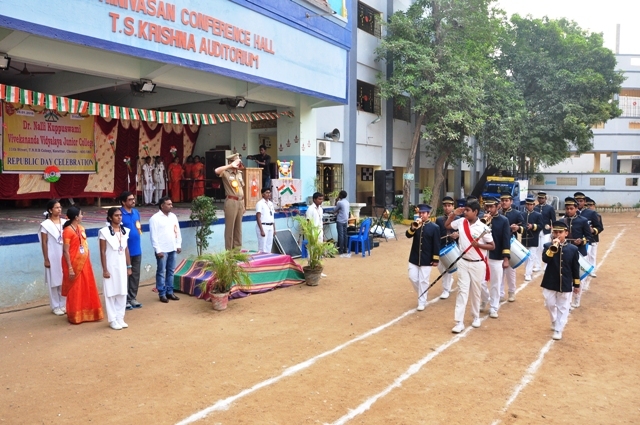 This was followed by March Past and cultural programmes. 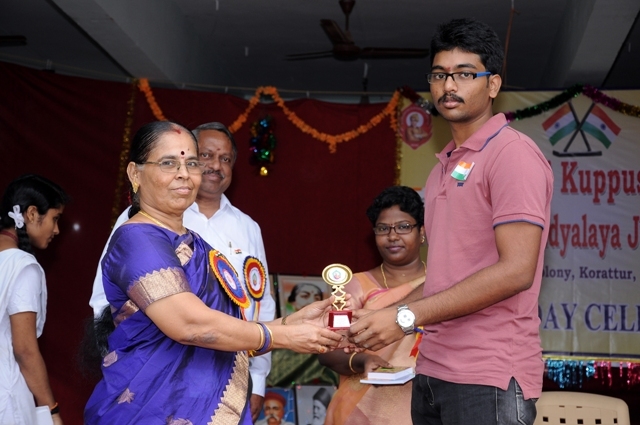 Prizes were distributed for the winners of Thirukkural competition and Proficiency prize winners were also awarded. Blood donation camp was organised by Madras Voluntary Blood Bureau. 43 units of blood was collected. Alumni meeting was conducted. 42 Alumni attended the meeting. The activities to be carried out by Alumni was discussed. 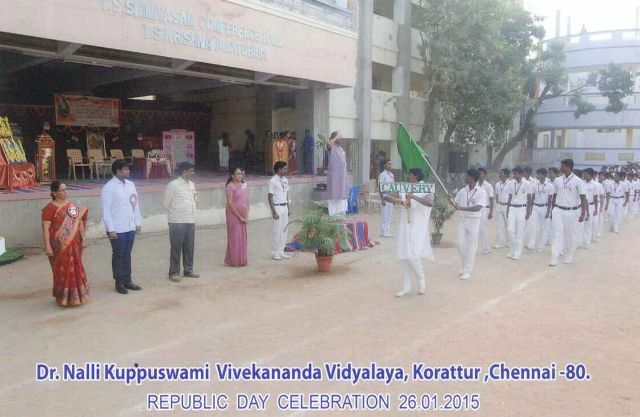 Republic day was celebrated in a grand manner on 26.1.2015. 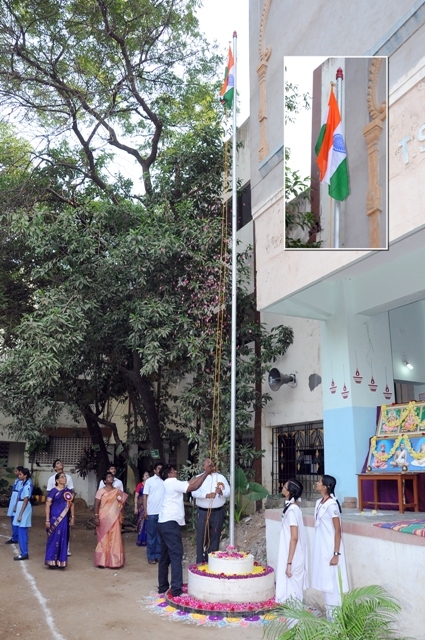 Sri Pradeep Saboo-Sangachalak, Anna Nagar presided over the Function and unfurled the National flag and delivered the presidential address. Sri Venugopal Sudersan HR Specialist Microsoft Inc. rendered a short speech and distributed the prizes. 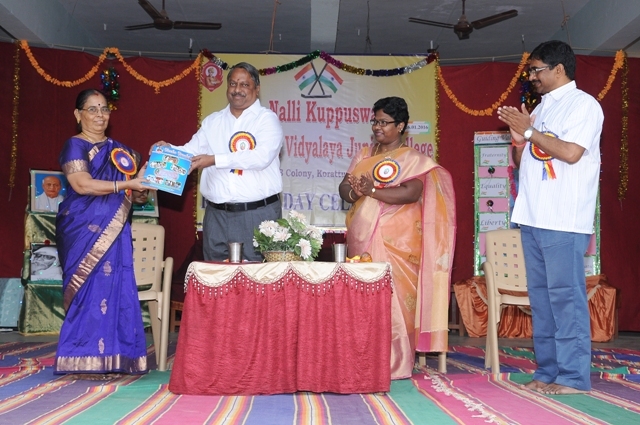 The second issue of "Viveka Varsha" magazine was released by the Chief Guest and first copy was received by our Hon. Correspondent Sri. N.R. Narendranath. 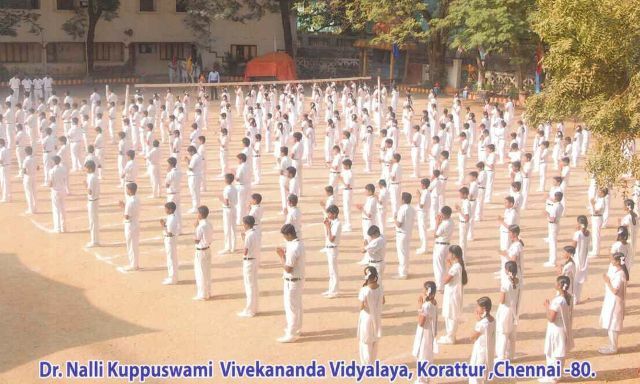 On the occasion of Ratha Sapthami Surya Namaskar was performed by our students. 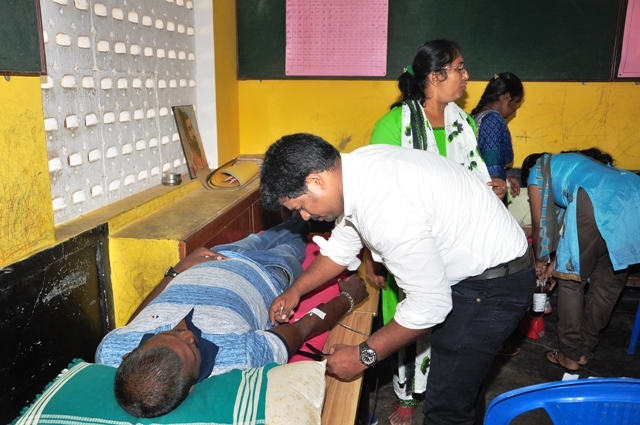 Blood Donation Camp was organized by Govt.Maternity Hospital in our school. 60 people took part in the same.